In 1992 five American women religious, all in their 50s and 60s and living in Liberia, were killed. They were shot outside of their convent by rebel guerrilla forces during a civil war that lasted 14 years and killed more than 250,000 people. In her new book, The Cost of Compassion, Barbara Ann Pawlikowski brings to life these ordinary women. Her book paints a picture of them not just as glorified martyrs to the faith, but as real-life women who cared deeply about their vocations and the people with whom they worked. These women were heroes not because they were willing to die, but because they were drawn by their faith to minister to those who needed it most, despite the danger and personal sacrifice required. This well-researched and powerful book is a must-read for anyone who wants to learn more about these little-known women. ACTA says the inspirational story of five American women religious who displayed courage, competence, and commitment to their missionary calling to Liberia, Africa, and paid the ultimate price for their compassion. Self-help books offer plenty of practices that purport to help us live well, from healthy bedtime routines to tech-free evenings to organized dresser drawers. 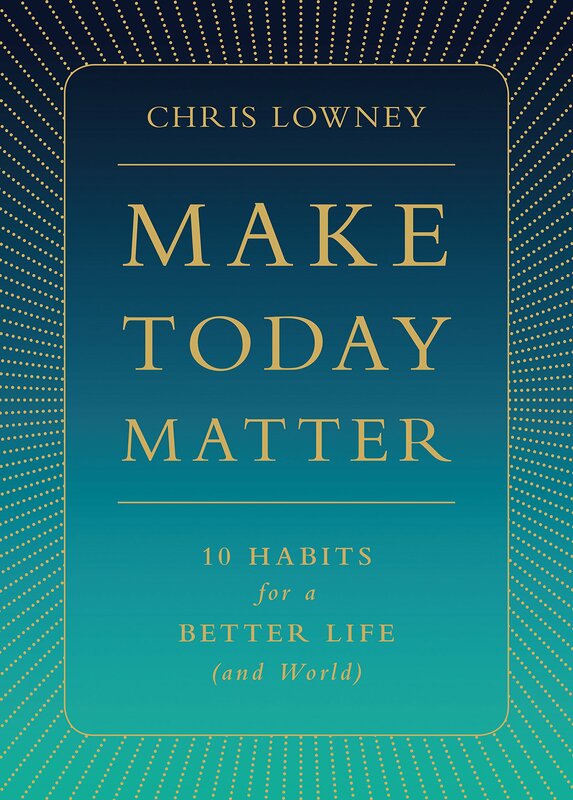 In his inspiring new book, Make Today Matter: 10 Habits for a Better Life (and World), Chris Lowney, a former Jesuit seminarian and popular speaker on business ethics and leadership, first helps us reexamine what makes life meaningful. But that’s the easy part. Once we get there, Lowney guides us through the more challenging task of acquiring habits that allows us to pursue this every day. But never fear: With 10 simple practices he illustrates with engaging personal stories, Lowney shows us how he’s worked to make every day matter and, in turn, how we can as well. Whatever track you’re on—college graduate, newly retired, newly confirmed—Lowney’s guiding principles are easy to apply and inspiring to consider. His advice would enrich the lives of any Catholic who wishes to commit—or recommit—their life to the greater good this Lent. In Black Domers, editors Don Wycliff and David Krashna bring together the stories of 75 black Notre Dame alumni. The contributors—including the first black student to graduate Notre Dame, the first African American ambassador to Jamaica, technical illustrators, teachers, stand-up comedians, doctors, and judges—reflect on why they chose Notre Dame, what they learned there, and their struggles to become fully accepted members of the student body. While the book shares the students’ triumphs and joys, it is also open about the struggles of being black at Notre Dame, especially in the early days after the university began accepting black students in 1947. Notre Dame wasn’t always an easy place to be black, and many of the writers recall memories of racial and cultural isolation. One of Black Domers’ biggest lessons is that the university’s ongoing fight for racial equality stems out of their commitment to Catholic social teaching and the dignity of every person. It’s a lesson valuable not just for Notre Dame graduates or historians but to all Catholics. University of Notre Dame Press says Don Wycliff and David Krashna’s Black Domers tells the compelling story of racial integration at the University of Notre Dame in the post–World War II era. What do you think? Once you have read the book, discuss it on uscatholic.org. 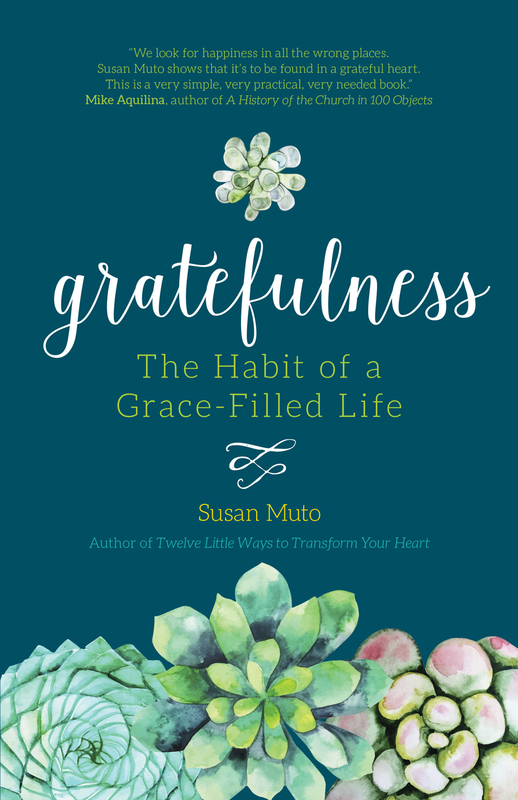 It’s easy to get wrapped up in the busyness of life—but Susan Muto reminds us to take a step back and recognize what we’re graced within her book Gratefulness: The Habit of a Grace-Filled Life. In guided chapters headed by Catholic greats such as Henri Nouwen, St. Ignatius of Loyola, and Julian of Norwich, Muto leads readers through a mini-retreat that aids in the development of gratitude. “The more we live in gratitude,” Muto says, “the less inclined we are to reduce the day to a collection of annoying interruptions.” She encourages readers to stop, look around, and be grateful for all God has given us. Who among us could not benefit from these changes? Ave Maria Press says that in a consumer-driven world where we’re told we need and deserve more, Susan Muto reminds us that gratefulness is a gift from God. In Gratefulness she reveals that grateful living is not another new fad but has been the way of saints and Christian mystics for centuries. If my hall closet said anything about the state of my soul, I’d be worried. There’s not much room for my winter coats—let alone anyone else’s. 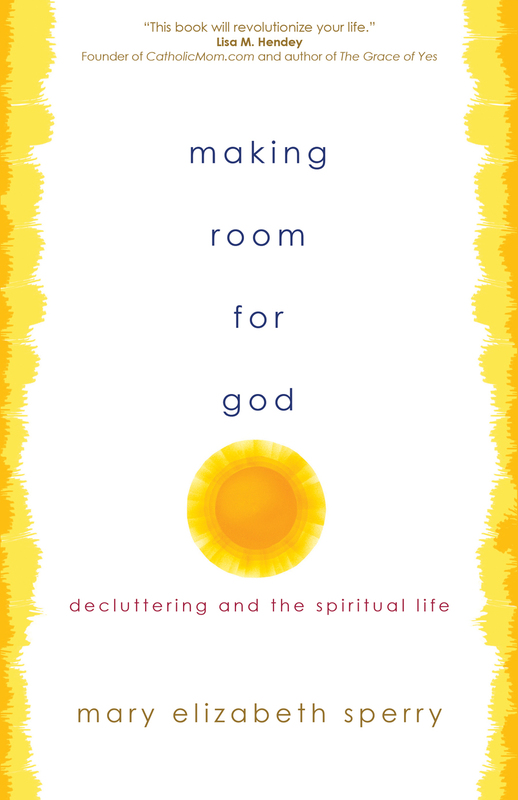 In her book Making Room for God: Decluttering and the Spiritual Life, popular Catholic speaker (and self-proclaimed packrat) Mary Elizabeth Sperry draws from church teaching, saints, and even Pope Francis to explore what our stuff says about our spiritual lives. Sperry’s Catholic perspective differs from the typical and trendy minimalist decluttering guides. What if decluttering was more about making room for God and for others rather than simply tossing our possessions? It might make things easier. This convincing, practical, and well-researched guide to decluttering is a refreshing read, especially as Catholics make room for God this holiday season. Ave Maria Press says, writing from an unabashedly Catholic perspective, Making Room for God offers an enticing and entertaining approach to decluttering, discipleship, and the spiritual life that makes tidying up seem almost fun. American women today have little in common with women of first-century Palestine. Or do they? Prolific author and retreat leader Elizabeth M. Kelly thinks there’s plenty to learn from the women of the New Testament and offers their stories of encounters with Jesus as models of trust, vulnerability, and grace in Jesus Approaches: What Contemporary Women Can Learn about Healing, Freedom & Joy from the Women of the New Testament. Kelly is an engaging storyteller who shares deeply personal narratives, both her own as well as those of modern women who have found a deeper relationship with the person of Jesus. Her suggestions for prayers and ideas on which to meditate truly invite the reader to find her own way into a lasting friendship with him. Loyola Press says Kelly tells vivid stories about women in Scripture—as well as women today —whose encounters with Christ and His Church have freed them to flourish in every way. A Catholic priest writing a murder mystery seems odd, but that’s precisely what Father Dominic J. Grassi has done with his first detective novel, Death in Chicago: Winter. The gripping story, set in Chicago’s North Side, tells the tale of detective Cosmo Grande as he investigates a tip about a potential murder. This page-turner depicts Grande attending to not only his city but also his faith community, as he attempts to catch the killer and help a group of deacons try to save the Catholic Church from its own sins. Grassi’s intentional inclusion of Catholic details, including a financial scandal that could ruin a parish and a corrupt bishop, speaks to Catholic readers with an interest in crime. ACTA says this riotous novel by Chicago priest Father Dominic Grassi follows a brash, tough, flawed, and wickedly funny detective, Cosmo Grande, hired to solve a murder that hasn’t happened yet. On a recent visit to one of our Claretian communities in Bangalore, India, I was reintroduced to praying the Angelus, a devotion I had not thought much about since my youth. In Praying the Angelus, popular author and speaker Jared Dees offers an invitation to the reader to join him in this ancient prayer practice that recalls the annunciation of Christ’s birth by the angel Gabriel to the Virgin Mary. Through historical background, his own experience of the prayer, and guided meditations, Dees invigorates this biblically rooted, ancient devotion and makes it attractive to modern-day busy Catholics. This book—as well as this prayer—serves as a great reminder to dedicate our time, our work, and our lives back to God and, most important, to slow down and look for God’s presence in our lives. 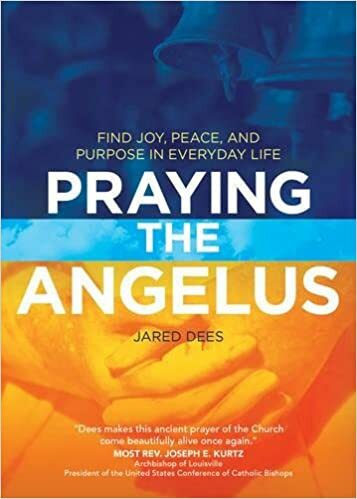 Ave Maria Press says Jared Dees introduces the Angelus devotion and explores its rich history and significance for the church. As a spiritual companion and guide, he offers meditations on the words and images of both the Angelus and the Regina Caeli. 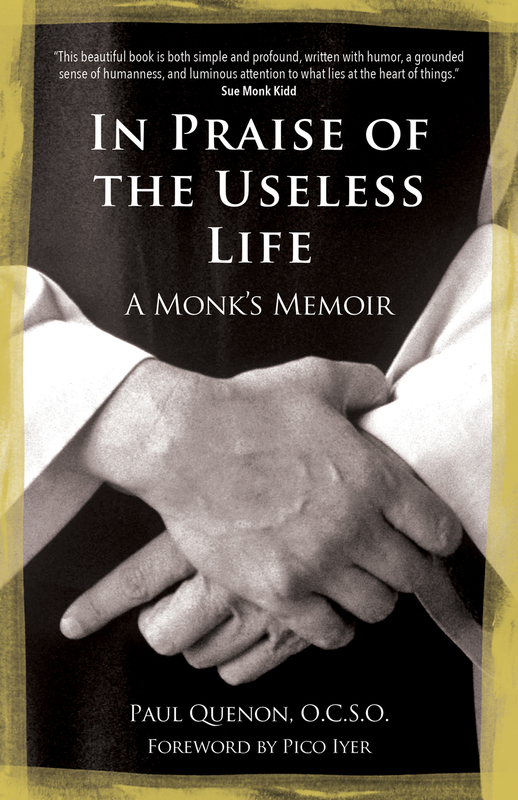 “I am on a permanent vacation.” So begins Trappist Brother Paul Quenon in his new memoir, In Praise of the Useless Life. He continues on to describe the monastic life as lived through play, through song and music and dancing with God. For Quenon, the cycles of monastic life are not constraining, despite the fact that it can be hard work and there are times when meditation and prayer seem to weigh the brothers down more than illuminate their faith. Rather, he says, the routine gives him the freedom to just live with no other purpose than to marvel being in God. Quenon’s book reminds anyone who has ever struggled with finding the time for prayer and contemplation that we don’t need to sit in a darkened room to find God. Instead, the divine is all around us: in the birdcalls that keep us awake, the poems we read, and the interesting people who surround us. Ave Maria Press says Brother Paul Quenon, O.C.S.O., shares stories and lessons from more than five decades as a Trappist at the Abbey of Gethsemani where he served as a novice under Thomas Merton. When Jane Knuth’s Aunt Kay passed away, she inherited an unusual family heirloom. It wasn’t an antique end table or piece of jewelry; rather, she became the keeper of “The List,” a collection of prayer intentions from and for her family and friends. A tradition started several generations before, The List gave Jane the unique opportunity to reflect on the role of prayer in her family and within families in general. In "The Prayer List: And Other True Stories of How Families Pray," Jane tells stories of how prayer has affected her own family and invites her friends to share their stories as well. In the spirit of her Aunt Kay, at the end of each chapter she offers suggestions for readers to start their own Prayer List. Part memoir and part spiritual guide, The Prayer List is the perfect read for anyone looking to shake up their prayer life. Loyola Press says "The Prayer List" shares the true stories of how families from many faith traditions—Christian, non-Christian, or no defined faith—pray together in meaningful ways. With prompts to inspire your own family’s prayer after each chapter, these stories prove that family prayer can be a path to the intimacy and closeness we long for. It’s like making God a member of the family. Since the beginning of his pontificate Pope Francis has made mercy a central theme in his teachings. And so Francis’ words are fitting to follow on a walk through the corporal and spiritual works. Using relevant reflections and excerpts from the pope’s writings and preaching, The Works of Mercy details each corporal and spiritual work at length, opening doors to a variety of discussion topics and themes. Orbis Books says mercy has been a trademark of Pope Francis’ papacy: it is a theme rooted in the message of Jesus, who tied our salvation to the treatment of the least of our brothers and sisters. Here, Pope Francis reflects on each of the Corporal and Spiritual Works of Mercy and invites us to live this challenging gospel message each day. Living compassionately is not just a skill but a way of life. 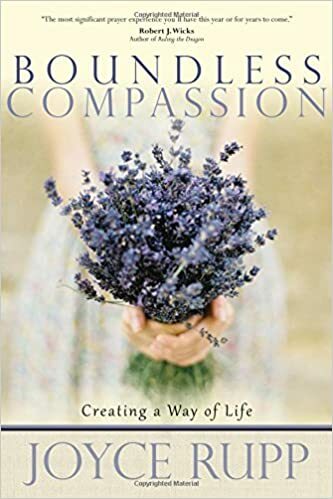 In her new book, Boundless Compassion, Joyce Rupp takes readers through the steps of creating a compassionate life. Her work as codirector of the Servite Center of Compassionate Presence makes Rupp the perfect creator of this six-week program and an ideal teacher to spread this message of compassion. By the end of the book readers will be able to live life with a more open heart and treat every living thing with more empathy than ever before. Ave Maria Press says throughout this six-week personal transformation process for developing and deepening compassion, Joyce Rupp nudges, encourages, and inspires you to grow in the kind of love that motivated Jesus' life and mission for his disciples. Often described as a “spiritual midwife,” Joyce Rupp’s writings are at once otherworldly and earthy, not unlike the miraculous event of childbirth that midwives attend. Her poetry and prose sing with surprise, wit, and humility that stimulates and satisfies any spiritual imagination. Masterfully curated, Orbis’ Joyce Rupp: Essential Writings serves as a primer for new writers and a trusty reference for longtime fans. Rupp and this collection are both a gift. Orbis Books says Joyce Rupp is beloved on five continents as a writer, speaker, and retreat giver. Joyce Rupp: Essential Writings draws from her most influential works, arranged in key themes that speak to every heart: Home. Earth. Cosmos. God. For those who know Joyce's work well, and those who are just coming to know it, this book is a treasure indeed. Prayer is not just formal private or corporate conversations with God, professor and Orthodox priest Michael Plekon believes. It is also what happens when we come together with others to eat, to celebrate, to create, and to confront what we fear. It happens not just in churches but in the forest, in kitchens, and on the streets. To make his point, Plekon’s new book, Uncommon Prayer, brings together the voices of theologians, poets, activists, and contemplatives to show how even the mundane moments of life can be prayerful. Some of the voices he includes are familiar. Others, like in his chapter on making pierogis, are not about great spiritual thinkers or theologians but vibrantly describe the prayer present in the smallest moments of everyday life. Together, Plekon’s chapters are a powerful meditation on the incarnation: God is not in heaven but in and among us. Review: James Martin has been at the forefront of modern Catholic social thought within the past few years. So it was only fitting his writings be a part of the Modern Spiritual Masters series by Orbis Books. 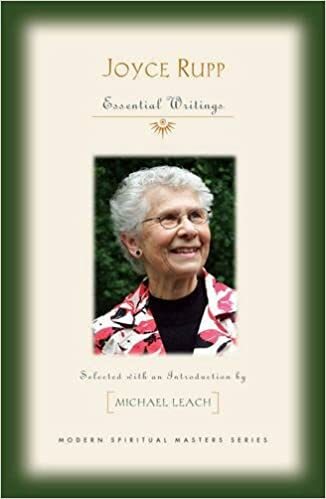 Essential Writings is a comprehensive collection of some of Martin’s finest writing to date, chronicling such topics as finding the divine in daily life and living in solidarity with those who are suffering. James Martin, often referred to as one of the greatest spiritual writers of our time, is fully accessible in this collection that emphasizes faith and the acceptance and appreciation of all God’s children. Orbis Books says this famous Jesuit offers reflections and insights on everything from prayer to depression to sexuality to finding one’s individual path to holiness. Review: Seeds have fascinated Joyce Rupp since she was a child growing up on a farm in northwest Iowa. So it’s fitting that the spiritual writer’s new collection of prayers, reflections, and poems seek to grow the spirit from within. 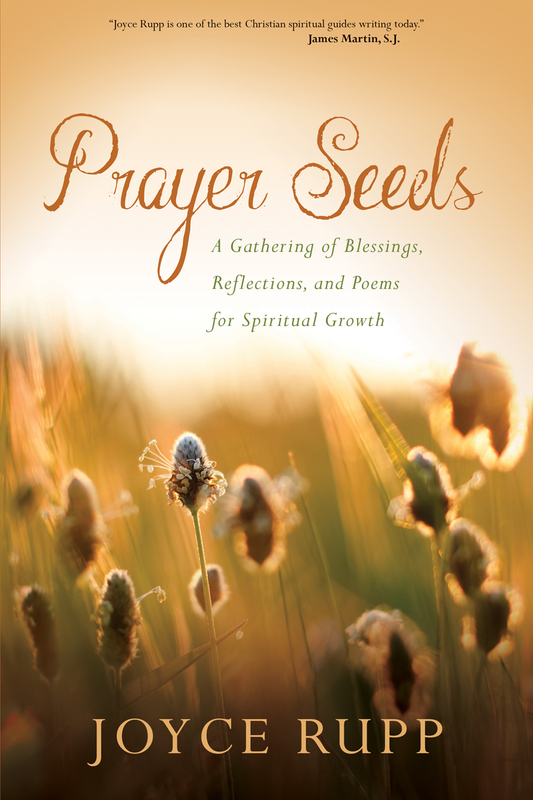 Prayer Seeds, a companion to her previous prayer collection, Out of the Ordinary, offers 100 new blessings, reflections, and poems that is a refreshing update for any personal or group prayer. The prayers are grouped into sections such as Marriage, Difficult Times, and Compassion, but Rupp’s Advent and Christmas section is particularly inspiring. In “Silent Night, Holy Night” Rupp writes, “Silence the useless anxiety and confusion. / Calm the pressures placed upon us. / Hush the illusory need to get it all done.” It’s a welcome challenge this Christmas season. Ave Maria Press says bestselling author and retreat leader, Joyce Rupp, offers almost a hundred new prayers on a variety of themes such as the feasts and seasons of the liturgical year, compassion, ministry, difficult times, and important events. Review: While some young people today may cast aside the religion of their childhood in favor of becoming a religious “none” (someone who may be spiritual but does not affiliate with any organized religion), Brandon Vogt did just the opposite. In his 20s he converted to Catholicism. 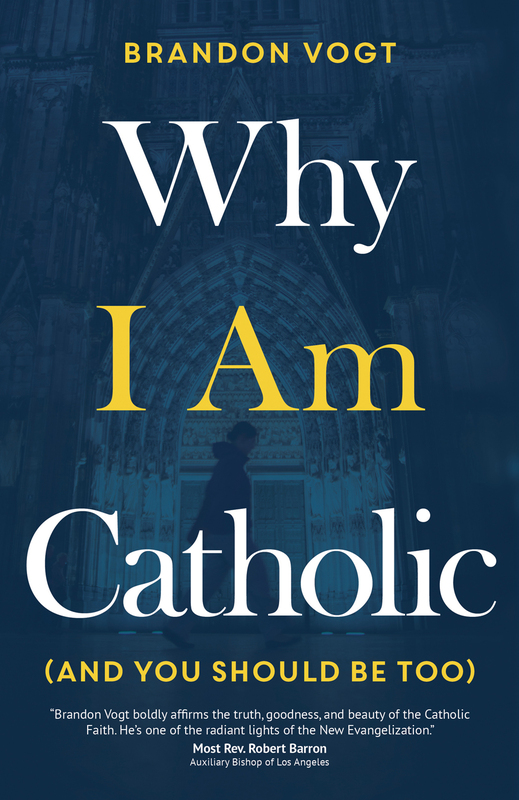 In his new book Why I Am Catholic (And You Should Be Too), Vogt chronicles his conversion and provides simple, straightforward reasons about why others should explore their faith as well. Vogt makes a convincing argument using language that is both accessible and thoughtful. He writes he discovered that the Catholic Church is “worth considering not because it’s popular, progressive, or comfortable but because it’s true, good, and beautiful.” Why I Am Catholic (And You Should Be Too) is an important read regardless of where you are on your spiritual journey. Ave Maria Press says bestselling author Brandon Vogt shares his passionate search for truth, a journey that culminated in the realization that Catholicism was right about a lot of things, maybe even everything. Review: We tend to think of Jesus as the one with all the answers when in fact he is the one with many questions—more than 100 of them in the gospels. 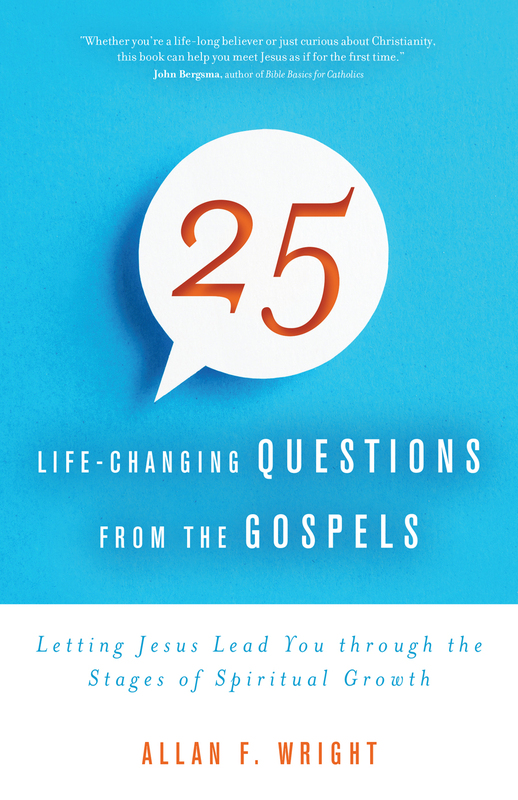 Educator and author Allan F. Wright reflects on a quarter of these in 25 Life-Changing Questions from the Gospels. Ave Maria Press says biblical scholar and retreat leader Allan F. Wright organizes 25 questions Jesus asked into five spiritual stages that will lead you on the road to discipleship. Review: We are told that our lives will benefit from the daily practice of giving gratitiude for all that we have. That is precisely what The Way of Gratitiude: Readings for a Joyful Life, featuring the writings of various acclaimed authors, seeks to accomplish and promote. The prolific passages of authors such as Mary Oliver, J.K. Rowling, and James Martin provide a guide for reflections on gratitude for readers seeking to deepen their spiritual life. This collection is an opportunity to strengthen your connection to God through heightened awareness of the gifts in our own lives. Orbis says: A hundred famous writers share their experiences, essays, fiction, poems, meditations, and ideas on the joy of being thankful. These honest and heartfelt writings will add gladness to your days. Review: While in Auschwitz-Birkenau, a dying woman gave Magda Hollander-Lafon four scraps of bread and told her, “You must live to be a witness to what is happening here.” In Four Scraps of Bread, originally published in French in 2012 and newly translated into English, she does just that. The book’s reflections, prose meditations, and poetry offer ways to experience alongside Hollander-Lafon her lived experience, both in the death camp and in the Holocaust’s aftermath, as she, despite all odds, lives through Auschwitz’s atrocities and builds a new life after the war. Her books shows the beauty, hope, and presence of God while not flinching from an open-eyed portrayal of the worst violence and brutality that humans are capable of inflicting on each other. Notre Dame Press says: Hollander-Lafon records a journey through extreme suffering and loss that led to radiant personal growth and a life of meaning. Review: Since the word mindfulness has crept up in the cultural lexicon, I’ve been a bit skeptical. It’s not that I don’t think paying attention to the physical world around us is a good idea. But the sacramental tradition of the church has always invited a deeper appreciation of the sights, smells, sounds, tastes, and touch of our world. This is the way God is revealed, after all. Still, we often need reminding of that fact, and thankfully there’s Ginny Kubitz Moyer’s Taste & See for that. Through personal and down-to-earth storytelling, Moyer shows how Christian faith is not just an exercise in awareness or an experience of the mind but also the five senses. Loyola Press says: Our physical senses are powerful avenues through which we encounter God. This “Examen of the senses” will help readers recognize God through all five senses. Review: It’s hard to define what “normal” life is, exactly. Author Becky Eldredge knows her own often requires Olympic effort. But, Eldredge writes, somewhere in between (and during) carpools and diaper changes, shuttling kids to practices, and making meals, she finds time to pray. Her book, Busy Lives and Restless Souls: How Prayer Can Help You Find the Missing Peace in Your Life, draws on the 500-year-old spiritual wisdom of St. Ignatius that is sure to help anyone who wants a stronger spiritual life find God in even the most mundane things, like watching TV or chatting at the checkout counter. Featuring practical prayer tools that easily fit into even the busiest daily routines, Eldredge’s interpretation of Ignatian principles will equip any reader with the tools to find God right where they are. Loyola Press says: A young, busy woman offers a fresh Ignatian perspective on how to satisfy our restlessness within by making space for prayer in the midst of a demanding life. Review: If someone were to ask you what one thing defines your life is, what would you say? For Pat Gohn, author of All In: Why Belonging to the Catholic Church Matters, the answer is simple: her Catholic faith. Gohn writes with convincing authority and vigor how church teachings have made a deep impact on her life and driven her to be “all in” when it comes to the Catholic Church. Gohn invites readers in with intimate and relatable language. She even includes resources at the end of each section encouraging prayer and further learning. All in is an enjoyable read no matter where you are on your spiritual journey. Ave Maria Press says Pat Gohn invites you to become more confident in the power of the Catholic faith to transform your life as well. Review: As a student of British literature and a fan of Shakespeare’s plays and sonnets, I found the William Shakespeare volume of the Literary Portals to Prayer series fascinating as well as helpful to my prayer life. In this book each left-hand page contains an excerpt from one of Shakespeare’s works, and the facing page illuminates the selection with a Bible verse. For example, under the theme “Love Never Gives Up,” a quote from Act I, scene 1 of Twelfth Night is coupled with 1 Corinthians 13:4–7. Other volumes in this series include the works of Herman Melville, Louisa May Alcott, and Charles Dickens. I recommend this series as a great resource for those seeking to enhance their prayer life—just start with your favorite author. ACTA Publishing says, each book in this series takes 50 excerpts from a single beloved literary figure and pairs them with a passage from The Message for creative two-page “prayer-starters” for individual and group use. Review: For nearly four years, Pope Francis has made incredible strides in the Catholic Church. His commitment to helping the poor and acceptance of those who have been excluded by the church have led newcomers to Catholicism and brought back those who have left. riveting look at the history of the church and how it has changed over the past 100 years. Gehring explores how Pope Francis’ style can create real change in the church, particularly in the United States. The Francis Effect is a read for fans and critics of Pope Francis alike. Rowman & Littlefield says, this book explores how a church once known as a force for social justice became known for a few key wedge issues, then looks at the opportunities for change in the “age of Francis. Review: Given how commonly the relationship between faith and science is discussed, it’s a wonder that anyone could still find them firmly at odds. And yet, as Stacy A. Trasancos recounts in her vivid and engaging memoir, Particles of Faith, there seems no end to debates. A scientist and devout Catholic herself, she offers stories and suggestions for the faithful who are still working out their own relationship with modern scientific discoveries. With her pleasing prose, Trasancos invites the reader to experience the awe of a child whose early encounters with the world delight and inspire. Ave Maria says, scientist, writer, and scholar Stacy Trasancos gives us ways to talk about how science and Catholic faith work together to reveal the truth of Christ through the beauty of his creation. Review: In the beginning, God created the heavens and the earth. All too often, Christians picture an old man with a beard calling the universe into being with his words. But in When God Was a Little Girl, David Weiss reminds us to not get caught up in how we’ve heard or seen the story told. He gives us a new metaphor: A little girl, singing creation into being with imagination, smiles, and a little bit of glue. The illustrations show children of all different ages and ethnicities, allowing the reader to see God in her own image and keeping us from getting too invested in any one depiction of God. The book is a profound reminder that how we describe God is important and different ways of expressing God reveal deep truths about creation. The book is lovely addition to any little girl’s (or boy’s) library. Acta says, a daughter asks her father, with “her eyes twinkling with this divine little twist,” to tell story about “when God was a little girl”...and he obliges. Review: Though a picture book, Dear Pope Francis is spiritual panacea for readers of any age. The 70-page release from Loyola Press features Pope Francis’ responses to 30 unfiltered letters and illustrations from children around the world, some of whom ask some pretty tough questions. But Francis—with humility, humor, and grace—answers them all. Loyola Press says, in this unprecedented book, questions from children from across the world are presented to Pope Francis — and the Pope himself answers each letter. Review: Today, more than 75 million people in the United States identify as Catholic. But with an increasingly diverse church population—culturally, geographically, and even linguistically—what does being a Catholic today really mean? Using data collected over the past 25 years, William V. D'Antonio, Michele Dillon, and Mary L. Gautier try to shed light on just that. In this fifth volume of surveys conducted since 1987, D’Antonio, Dillon, and Gautier hear from everyone—pre-Vatican II Catholics to Millennials—to explain not only the changes in attitudes toward Catholic identity but also the continuities in core beliefs. 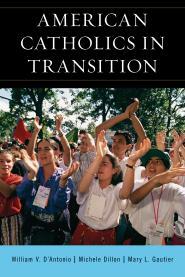 Especially timely during this election year, American Catholics in Transition is an enjoyable and informative read for anyone curious about how Catholics in the United States have viewed their faith over the last quarter-century. Roman & Littlefield says American Catholics in Transition paints a vibrant picture of the diverse church today, outlining changes in the past as well as looking toward continuity and change in the future. 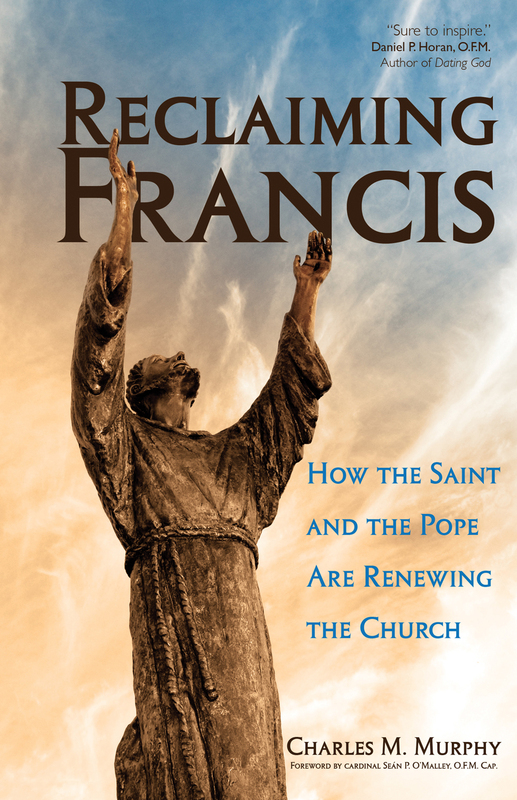 Review: When Pope Paul VI originally pointed to evangelization as the church’s essential mission, he said that “people listen more to witnesses than to teachers.” In Reclaiming Francis: How the Saint and the Pope Are Renewing the Church, Monsignor Murphy proposes St. Francis of Assisi as a preeminent saintly model for the new evangelization. Through thoughtful reflection on key aspects of Francis’s life and spirituality, Murphy reminds us that the priority of God, the preferential love of the poor, voluntary poverty, care of creation, and the pursuit of peace are the ways by which the Church will be rebuilt. As Pope Francis continues to call for the rebuilding of the Church, this book will contribute significantly to contemporary discussions of the New Evangelization. Ave Maria Press says: As Pope Francis continues to call for the rebuilding of the church, Msgr. Charles M. Murphy offers a timely look at what today’s church can learn from St. Francis of Assisi about evangelization and renewal. Review: It’s been 43 years since Gustavo Gutiérrez wrote A Theology of Liberation. His book forever changed the face of Catholic theology, and yet the poor around the world are still suffering. Therefore, it is not enough to hold on to the theological idea of a preferential option for the poor; we need to put the idea in practice while acknowledging the multifaceted nature of poverty. The essays in this volume show how poverty affects every aspect of human existence. Contributors write on law, economics, film, science, and education—to name a few of the many topics addressed—examining how their own lives and vocations have been shaped and guided by the option for the poor, no matter what their industry or academic discipline. Anyone, no matter their career or location in life, can live out a commitment to the world’s poor and marginalized. University of Notre Dame Press says: How can one live a Christian life in a world of destitution? This book addresses the option for the poor and the ways it can shape our social, economic, political, educational, and environmental approaches to poverty. Review: The psalms, though ancient in form, always remind me how everything old is new again. These songs of prayer give voice to my spiritual praises and laments when I don’t quite have the words. But delving into scripture and personal prayer can be daunting. And so, the Revised Grail Psalter is where I turn when I need some assistance praying. In this revised commentary and guide to the psalms, Benedictine Father Gregory J. Polan offers a brief but thorough introduction that makes the very prayers Jesus would have uttered relevant and accessible. Polan’s reflections on each psalm are at once inspiring and enlightening; they are an opportunity for intellectual and spiritual learning. Paulist Press says: Graceful and inspiring, here is an insightful and moving introduction to the Book of Psalms as prayer. Review: What is true happiness? Does Christianity provide happiness in a way other self-improvement paths cannot? In The Gospel of Happiness, Dr. Christopher Kaczor highlights seven ways in which positive psychology and Christian practices together can lead to personal and spiritual transformation. Focusing on studies that point to the wisdom of many Christian teachings, Kaczor provides not only practical suggestions on how to become happier in everyday life but also insights on how to deepen Christian practice and increase our love of God and neighbor in new and bold ways. If you’re tired of flipping between best-selling self-help books that never seem to fully address your whole person—mind, body, faith, and soul—The Gospel of Happiness might be the “whole-person” answer for which you’ve been searching. Image Books says: A simple approach to seven ways positive psychology can help us lead more spiritual, effective, and loving lives. Review: To truly know Pope Francis, you must first know Padre Jorge. Few offer a better introduction than Argentine journalist Elisabetta Piqué, whose friend Jorge Bergoglio became Pope Francis virtually overnight. Piqué, who first met Pope Francis during an interview in 2001, paints a portrait of Francis in Pope Francis: Life and Revolution that’s based on more than 75 interviews with people who knew him before he became the Bishop of Rome in 2013. It’s this unparalleled insight that reveals Pope Francis’ personality, motivations, and revolutionary vision for the church. Piqué’s captivating narrative details unsung episodes of Pope Francis’ life that show why his peace and patience energizes so many. Loyola Press says: Written by Vatican correspondent Elisabetta Piqué, who has known the Pope personally since 2001, Pope Francis: Life and Revolution offers unique insights into the Pope, his work for the poor, and his vision for the church. Review: Hail Mary, full of grace, the Lord is with thee. Most Catholics can easily recite the words of the ever-familiar Hail Mary prayer. But how many of us take time to reflect on what we are saying, to truly internalize the profound beauty and meaning behind each word? 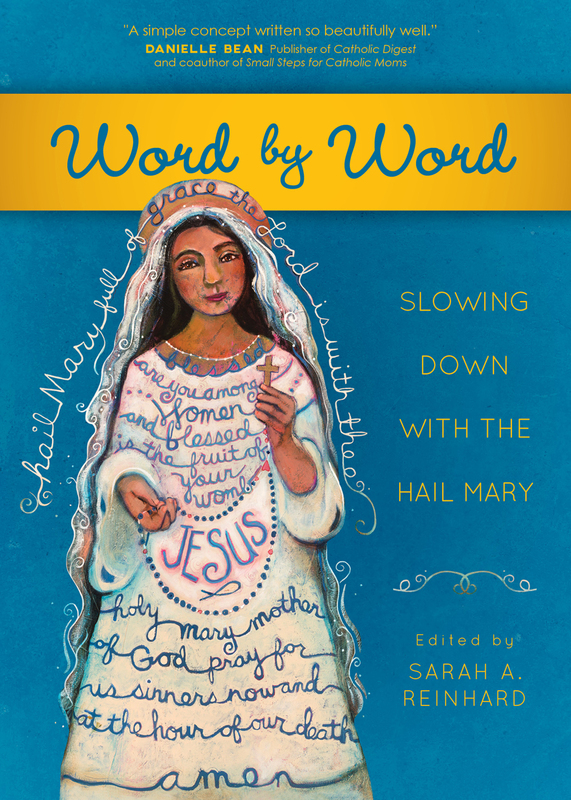 In Word by Word, editor Sarah Reinhard invites us to intentionally examine each part of the Hail Mary to revitalize our understanding of the beloved prayer. In deliberately slowing down and meditating, Reinhard says, “a calmness is cultivated” that urges you “to live in the present moment in a way so few things in modern life of gadgets and responsibilities require.” Anyone looking for restored vitality in their prayer life, or even anyone simply seeking stillness amid a hectic lifestyle, should read Word by Word. It will comfort, enlighten, and inspire you to examine things with new eyes, especially those things—like the Hail Mary prayers—that may be overlooked or under appreciated. Ave Maria says: Sarah Reinhard compiled forty of the most popular Catholic voices to write a brief reflection on each word of the Hail Mary, one of the most important prayer traditions in Catholic life. Review: As the first Jesuit pope, Francis has piqued new or renewed interest in the Society of Jesus. As the Society closes in on the 500th anniversary of its founding in 1540, Jesuit church historian John W. O’Malley offers a short, accessible, and sweeping history of the religious order from its foundation to the present—from Ignatius of Loyola to Pope Francis. Father O’Malley is a master at distilling the scholarship on which this work is based and presenting it clearly and concisely. I was personally grateful for O’Malley’s treatment of the modern and postmodern era, particularly the Pedro Arrupe era. This slim volume will be of interest to anyone interested in church or world history and includes an annotated reference section for further reading. As Father O’Malley says in his preface, the purpose of this book is to whet the readers’ appetites to read further into the fascinating history of the Jesuits. Rowman & Littlefield says: O'Malley has once again written a lively and accessible historical introduction to the Society of Jesus. Review: Joan Chittister’s signature wisdom and spirit are at it again in Between the Dark and the Daylight, her new book that speaks not only to seekers of faith but also of comfort. “There is a part of the soul that stirs at night,” Chittister writes, “in the dark and soundless times of day, when our defenses are down and our daylight distractions no longer serve to protect us from ourselves.” In these soul-soothing pages the beloved author of The Gift of Years dives into the chaos of life, exploring the questions and contradictions that mess with our minds and hurt our hearts. Chittister doesn’t have all the answers but willingly embraces the conundrum of life so that we might better understand ourselves, one another, and God. Her short reflections and simple meditations are the remedy for a ravaged soul. They’ll help you sleep better, too. Image Books says: Getting at the heart of what it means to be human, Between the Dark and the Daylight is not about finding all the answers, but rather surrendering to self so that we can find rest in the arms of God. Review: When her 17-year-old athletic, fun-loving, and musical son, Zach, was diagnosed with osteosarcoma, Laura Sobiech turned to God to help her and her family remain strong throughout the mental, physical, and emotional battle with Zach’s grueling disease. After given just one year to live, Zach decided the best way to say goodbye to his friends and family was by writing and performing music. His song, “Clouds,” became a huge success and helped his family turn such a devastating diagnosis into a joyous celebration of their son’s vibrant life. Thomas Nelson says: Read the story of a mother’s love, a son’s battle with cancer, and the hit song that touched the lives of millions. Review: Richard Leonard tries to avoid conversations with strangers on long flights. Inevitably, a fellow passenger will ask Leonard what he does for a living, and the Australian Jesuit dreads the reaction he will hear upon saying he’s a Catholic priest. Leonard thought he’d heard them all—that is, until he met a young man named Thomas on a flight from New York to Los Angeles. Their resulting conversation inspired this book, in which Leonard employs his engaging storytelling, wit, and wisdom to provide, as he calls it, “an accessible argument for faith.” The book tackles common questions Leonard hears from both nonbelievers and lapsed Catholics like Thomas, offering a powerful reminder that true faith is never without doubt, but rather it is a constant search for answers. Paulist Press says: Addressing the world in which Christians live, bestselling author Richard Leonard asks who we are before God and how we can be more confident in our faith in a loving God. Review: When Pope Francis wrote in Evangelii Gaudium (The Joy of the Gospel) that the economy of the West is one that “kills,” he was immediately branded a Marxist by some conservative Catholic commentators from the United States. In This Economy Kills, two of the most informed Italian journalists covering the Vatican today explore the pope’s teaching and witness on the topic of the economy, and provide context and background from Catholic social teaching that help us understand what he is saying. Perhaps best of all, they let Francis’ own words speak for him, including an interview in which he addresses capitalism and social justice. This book should remind us all that care for the poor and forgotten is at the heart of the gospel and Christian mission. Liturgical Press says: This fascinating book includes the full text of an extended interview the authors conducted with Pope Francis on the topic of capitalism and social justice, appearing here in English for the first time. Review: All too often, friendship carries connotations of jockeying for position, of “fitting in,” or of hiding your true nature in order to not be alone. But in Five Years in Heaven, John Schlimm reminds us that at its best, friendship is a relationship that can reveal the presence of God. This memoir centers around the unexpected relationship between the author and Sister Augustine. Schlimm, in his early 30s and disillusioned with his fast-paced career and unsatisfactory life, finds insight in the life of Sister Augustine, an 87-year-old artist. The book invites us into their friendship and to learn, side-by-side with Schlimm, a grounded wisdom that reveals profound truths about the world. Five Years in Heaven reminds us that friendship can be found in surprising places. Opening ourselves to unforeseen moments of human connection teaches us about others, God, and ourselves. Image Books says: What is heaven on earth? What if you had the chance to learn the answers to life’s greatest questions? This is the story of such an encounter…an unlikely pair and the journey they take. Review: I will start volunteering as soon as I finish getting the house clean. If you’ve ever used a similar excuse, Kerry Weber’s Mercy in the City belongs on your nightstand. In her honest, funny, and incredibly down-to-earth book, Weber—a young, single New Yorker—recounts her attempt to complete all seven Corporal Works of Mercy in 40 days (while acknowledging that life would be easier if she could instead achieve spiritual enlightenment by abstaining from ice cream). Despite its “how-to” tagline, Mercy in the City isn’t a manual. Acts of mercy, we discover, can’t be rote or simplified. Instead, even the smallest actions are often laden with intent and meaning. Weber’s encouraging and insightful journey shows that when it comes to answering the call of faith, there are many ways to say yes. Loyola Press says: A modern, young woman lives a "regular" life amid the daily pressures of New York City while also living a life devoted to service and practicing real works of mercy in a meaningful manner. By Guy Consolmagno S.J. and Paul Mueller, S.J. Review: What really happened to Galileo? Why did Pluto get bumped from being a planet? Jesuits Guy Consolmagno and Paul Mueller serve up an engaging and funny treatment of the science questions that people fire at these two Vatican astronomers. Especially refreshing is the pair’s understanding of how nonscientists tend to react to complicated scientific ideas like the big bang—Mueller likens it to how he, a non-artist, can feel alienated from a painting by abstract artist Jackson Pollock. You will learn a lot of science along the way, but even more important, the book does a great job of shooting down the tired but unfortunately still popular view that science and religion are somehow opposed or contradictory. Au contraire. 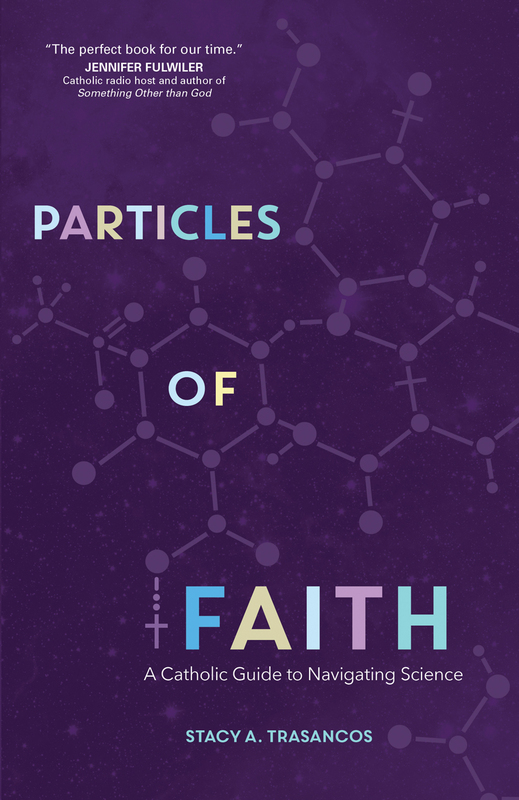 Image Books says: A book about what it’s like when science encounters faith on friendly, mutually respectful terms sharing with the reader the joy, hope, and fun in exploring science and living with a real faith. By Brother Michael O’Neill McGrath, O.S.F.S. Review: Pope Francis is already one of the most quotable people on the planet, but somehow Brother Mickey McGrath found a way to make the words of Francis even more accessible and appealing. With his vivid illustrations, McGrath injects new life into papal quotes on topics ranging from poverty and peace to family and faith. Dear Young People… is an excellent resource for introducing children to the Catholic faith through the eyes of Francis. But as McGrath notes in the introduction, the book could just as easily be called Dear Everybody Who Is Young At Heart. Indeed, readers of all ages are sure to find inspiration in McGrath’s artistic interpretation of an already inspiring figure’s words. World Library Publications says: Brother Mickey McGrath presents a new book for young people (of all ages!) containing inspiration from Pope Francis in the form of quotations and tweets. Order now from World Library Publications. Review: In this brief, clear, and creative work, Oblate Father William Clark reflects on the hiddenness of God, the possibility of making a case for God, and what encountering God involves. These reflections stem from two sources: faith and reason. Through examples from scripture and philosophy, Clark tries to understand God and what that means to an individual. Available at bookstores or from from Liguori Publications at 1-800-325-9521 or liguori.org. Order now from Liguori Publications. Review: In our increasingly distracted and plugged-in world, it’s tough to find moments to stop, slow down, and be present. But in Framing Faith, photojournalist Matt Knisely reminds us that although we have eyes, we often fail to see. Those spare moments exist, but they often pass us by as we flit from Twitter to Facebook, email to Instagram. Rather than filling our days with these distractions, Knisely encourages us to find God in those often overlooked spare moments. Framing this faith journey with photography, Knisely challenges us to shift our eyes from our screens and look through his lens. Not only does he show us what he’s found—he helps us realize what we’ve been missing. Thomas Nelson says: Framing Faith is a book for people seeking to focus their lives, to find a deeper knowledge of God, and a more authentic Christian faith. Review: As a former vicar for priests, Donald Cozzens knows and understands the inner workings of the Catholic Church, and especially the clerical culture, better than anyone. In recent years his honest, courageous, and insightful writing has shed much light on the root causes and the cultural and systemic failures that led to the clergy sexual abuse crisis. In his first novel, Master of Ceremonies, Cozzens now uses all that inside knowledge to spin a page-turning tale around the consequences of clergy sexual abuse, the machinations of a secret society of careerist and hypocritical priests and bishops, and a few good Catholics working to uncover the truth. There is scandal, murder, love, and intrigue—you’ll have a hard time putting it down. ACTA Publications says: Father Donald Cozzens has written an unflinching story of clergy sexual abuse and its very personal consequences. A thriller of a novel, not for the squeamish or faint of heart. Available at bookstores or from ACTA Publications: 1-800-397-2282 or shop online at www.actapublications.com. Order now from ACTA Publications. Review: A simple happenstance can change the course of the future. When Rachel finds herself injured in a bicycling accident, she’s lifted up by a stranger named López, whom we recognize as St. Ignatius of Loyola. Margaret Silf’s Just call me López follows the unlikely friendship between the 16th-century saint and the 21st-century woman. Their journey together in this historical fiction centers on transformation: St. Ignatius’ shift from being a raucous youth to a devoted pilgrim of God, and Rachel’s change as her newfound friend gently guides her through the daily struggles of life. Their grace-filled and reflective conversations—over many cups of coffee—will slowly shape your heart and soul as well. Loyola Press says: In Just call me López, a twenty-first-century woman, Rachel, meets the man who becomes the saint, and both are transformed by their unlikely friendship and series of thought-provoking conversations. Available at bookstores or from Loyola Press: 800-621-1008 or shop online at www.loyolapress.com. Order now from Loyola Press. Review: This fascinating account tells the story of a little-known but surprisingly widespread movement of medieval women that started in the early 1200s. The beguines, active across Europe, were laywomen who formed their own communities, served the poor and sick, ran successful businesses, preached, wrote spiritual tracts, and achieved an unusual degree of independence. BlueBridge says: Beguines were medieval laywomen defined by their visionary spirituality, unusual business acumen, and strong commitment to the poor and marginalized. The beguines invite us to seek out their wisdom and to discover them anew. Available at bookstores or from BlueBridge: 800-343-4499 or shop online at www.bluebridgebooks.com. Review: Jon M. Sweeney’s compact book sets the poor man of Assisi in the context of the church and society of his day, demonstrating how Francis often trod on dangerous ground—and why no pope had taken his name for 800 years. Early on, the author dispatches our weak, pious notions of Francis. In their place he describes a man whose revolutionary approaches to friendship, poverty, spirituality, death, nature, and people on the margins drew many to his side, even though few could hack what it really meant to follow him. Sweeney deftly shows how Francis, ahead of his time, is also a man for our time, less interested in doctrines and debates than in how humans ought to treat the world and one another. Ave Maria Press says: Bestselling author Jon M. Sweeney offers a surprising new look at the world’s most popular saint, showing how this beloved, but often-mythologized character created a spiritual vision for the ages and may very well have rescued the Christian faith. Available at bookstores or from Ave Maria Press: 800-282-1865 or shop online at www.avemariapress.com. Order now from Ave Maria Press. The U.S. Catholic Book Club is a collaborative project of U.S. Catholic magazine and the Catholic Book Publishers Association. The titles featured in the U.S. Catholic Book Club are selected each month by the magazine’s editors from submissions by participating book publishers. The publisher provides a paid advertising in U.S. Catholic magazine for the featured book.